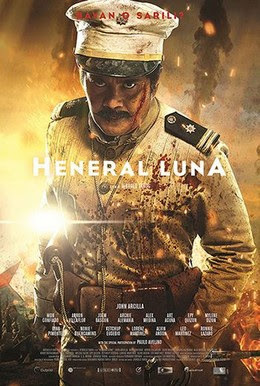 If there’s one movie out there that you should be watching, it is none other than Heneral Luna. You may not be a movie buff or a historian but being a Filipino should entail you to watch how a brave Filipino general led the whole army of soldiers against the colonizers amidst the corruptibility and apostasy of some people in the government back then. I was surprised to find out that the movie was laden with humor though I found it necessary to somehow establish what kind of personality the famed General Antonio Luna has. The first part of the film did just that with him and every other key character in the story. The Spanish has just surrendered but has chosen to cede the Philippines to America to avoid embarrassment. The Filipinos couldn’t celebrate, of course. It was another nation that’s about to prey on us. And it was on the hands of the remaining people in the government as to what future the Filipinos would face based on the actions that they would choose to make. The movie has good pacing. There was never a dull moment with how Antonio Luna planned and took action against the Americans and how Emilio Aguinaldo puzzlingly led and tolerated a government with treacherous members. As the movie progresses, the actors seemed to be more at ease with their roles and the story’s getting more and more interesting. This second part of the film excellently shows the general direction of where the whole action is going. The third part of the movie was beyond exceptional. The camerawork got really amazing, the cinematography has gone topnotch and every moment in every scene got very captivating. The cards have all been shown and what’s needed to be done was for them to be laid out on the table. In other words, the characters have already shown their true colors and the audiences were all but prepared to witness (spoiler alert ahead) the events that would lead to the horrendous killing of one of the bravest Filipinos to have ever walked the earth: General Antonio Luna. One, shame to Emilio Aguinaldo who had been a real traitor to the country’s cause for independence way back then. I’ve disliked him ever since I came to know about his actions towards the real heroes of this country and now I’m really glad that his true colors are being known by many. Recent Filipino hero films have drawn him into a light of indignity because of his traitorous ways and Heneral Luna is not an exemption. This movie has nailed him down. It’s about time that the truth about him and his family (watch out for his mother’s words by the end of the movie) be known by all Filipinos. It’s high time that we correct history and raise questions about the significance of certain Filipinos in the fight towards freedom. Two, it’s really great that other Filipino heroes are now taking the limelight. So many films have shown the patriotism of our national hero, Jose Rizal, and we’re all grateful for that. Andres Bonifacio, our other national hero, has taken the next step with movies Bonifacio: Ang Unang Pangulo and Supremo giving light to his heroic life and tragic death. While Rizal and Bonifacio should be at the forefront of our heroes, it’s good to know at least some more pieces of the puzzle by featuring the other heroes that bravely led us to where we are now. Finally, it is a truth that the government of today is not as different as the first Philippine government. There have always been people who know how to change things for the better. There have also been people who make things happen. Unfortunately, there have also been those who always put themselves first before their country and countrymen and are willing to commit treason just for their own sake. And horrifyingly, a few are at the top of the ranks. A very relevant film in the form of Heneral Luna deserves all the attention and droves of people flocking to the theaters just to watch it. Nothing beats word of mouth in promoting a film that’s why I am telling you that this movie’s worth all your time, money and energy. Kudos to the movie’s director, Jerrold Tarog, for making a brilliant epic and also to John Arcilla for embodying the titular hero that no other actor could have played better! Good job to all the cast and crew of Heneral Luna for doing this film! Lumikha ng libreng website o blog sa WordPress.com.